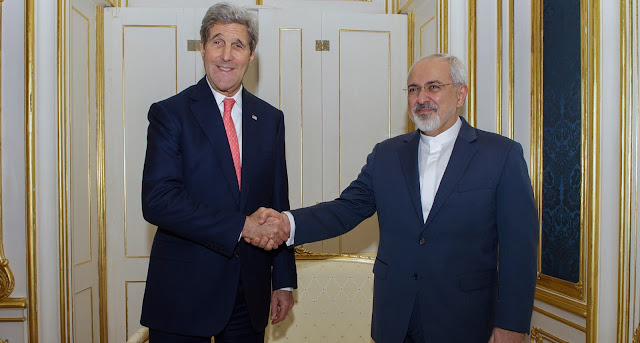 One year following the conclusion of Iran's nuclear agreement with the P5+1 group of countries – also known as the Joint Comprehensive Plan of Action (JCPOA) – on July 14, 2015, now it is a good time to pass a judgment on its achievements with relative certainty. On this basis, one can argue that this agreement has been a sustainable and growing victory for the global diplomacy institution and has been a sign of the global admission to the necessity of working with regional powers as inevitable partners in order to achieve the goal of establishing strategic stability at international level. Conclusion of Iran's nuclear agreement was done on the basis of the “choice of reconciliatory strategic necessity,” and major developments took place in the world politics in the year that has passed since the agreement, which include growth of far-right parties in Europe; final choice of Republican and Democrat presidential candidates for the 45th presidential election in the United States; increasing role of Russia in Syria crisis; terrorist attacks in France, Belgium, and the United States; Britain’s Brexit vote; and the release of the Chilcot report on the war on Iraq in 2003. However, the commitment of all parties to the Iran deal to the general message of this international document, which is based on the logic of recourse to diplomacy to maintain and promote international peace and security, has been the foremost achievement in the first year after the conclusion of Iran's nuclear agreement. Therefore, during past year, the JCPOA was considered as an important change in the course of the resolution of international disputes, which has drawn serious global attention to a high efficiency of diplomacy in settlement and management of global issues. Another achievement of the JCPOA in the past year was its balancing and stabilizing role in preventing escalation of major global crises, which had come into being at international level since 2014, including the crises in Ukraine, Syria, Yemen, and Iraq, the rise of Daesh and tension in Russia’s relations with the West, in general, and with the NATO, in particular. It is evident that achievement of the Iran deal as an international asset is indicative of a practical development in political culture of the elite in the Middle East on the basis of Iran's smart diplomacy. At the same time, it goes without saying that the balancing role and the regional clout of Iran have practically prevented further escalation of many global crises on the basis of the country’s smart power and in the light of the JCPOA. Achievements related to important resolutions adopted by the United Nations Security Council in 2015 and 2016 were telltale signs of the global community’s satisfaction with the return to Iran option and proved its willingness to take advantage of the Iran card in regulating relations with other regional actors, including Arab countries, Turkey and Egypt. Meanwhile, hysterical and hostile behavior of Saudi Arabia toward Iran in the year that has passed since the conclusion of the Iran deal has been a reaction to Iran reclaiming its deserved place in regional equations under the post-JCPOA conditions. Attention to the necessity of bolstering regional and transregional cooperation and strengthening interactions between regional and transregional powers such as Russia, China, India, Europe and Japan through normalization of Iran's international interactions has been another tangible effect of the Iran deal in the past year. The gradual inclination of international community to work with Iran in economic, trade, transportation, banking, insurance, industrial, energy, and other sectors not only paves Iran's way for taking part in management of global crises, but is also good tidings about the need to pay more attention to Iran's responsibilities and regional role in future developments. Emergence of new discourses in the field of global and regional management, especially in such fields as disarmament, nonproliferation, arms control, peaceful use of nuclear energy, fighting terrorism and extremism, organized crime, relations among big powers, regional cooperation and inefficiency of the sanctions policy against Iran has been among other notable outcomes of the Iran deal over the past year. These emerging trends have paved the way for Iran to play special regional roles, an example of which includes Iran's role in the process of fighting against creation of division and gaps and spreading ethnic and racial hatred by extremist groups and actors, which play a role in developments that are related to Iran's national security and its sphere of influence. In addition to restoring the position of such important regional and international institutions as the United Nations, the International Atomic Energy Agency (IAEA), the European Union (EU), and the Non-Aligned Movement (NAM) during the year that has passed since the conclusion of the Iran deal, further strengthening of cooperation among Eastern countries, especially with regard to Iran's relations with China, Russia, South Korea, India, and Japan have been other major achievements of the JCPOA. The effects of the Iran deal one year after its conclusion are indicative of a profound development in relations between a regional power and global powers over the rights and duties of all involved parties, and are also a sign that the foundation has been finally laid for agreement on the basis of the “choice of reconciliatory strategic necessity” to achieve strategic stability and facilitate international cooperation. The requisite for continuation of the positive effects of the Iran deal in an age of uncertainty is commitment of all involved parties to general spirit of this agreement on the basis of a reconciliatory and pacifist logic while rejecting all kinds of totalitarian, interventionist, and divisionist behavior in the course of the implementation of the JCPOA. Of special importance in this regard is also not focusing on vital challenging issues, which are related to Iran's internal issues and national security, including the country’s legitimate defense capabilities, after the first anniversary of the conclusion of the Iran deal and in the light of the negative experience that the world has had with previous efforts made to demonize Iran. The article was originally published at IranReview.org on July 14, 2016. Republished at IndraStra with permission. All rights reserved by the Iran Review.